Thanks for all the kind words, Jennifer! We love to hear this! I was using CVS for years and I got tired of waiting sometimes 3 to 4 hour on a prescription that takes Walgreens only minutes to fill. and that’s if CVS has the meds. Or if their staffs mood is okay to even give you the service you need. I’ve been judged because I have lupus and have to take a pain pill for the disease I have. But not at Walgreens. They truly care about me. The staff here are so friendly and really care about your health. They are so fast, I literally hand them My script and I wait no longer than 15 min at the most. They go beyond what any other pharmacy would do and make no judgment toward you about your medications. I love this pharmacy and will never go back to CVS or any other pharmacy. Walgreens has my business now forever. A clean store, friendly staff and a fantastic photo department as well as a cosmetic counter that is Devine for a drug store. Finally It’s like they have taken this new pharmacy and have applied the old fashion work ethics and manners of business to make customers feel special, trusted and cared about. Thank you Walgreens. Also they now have an excellent beauty club with much better perks than CVS. 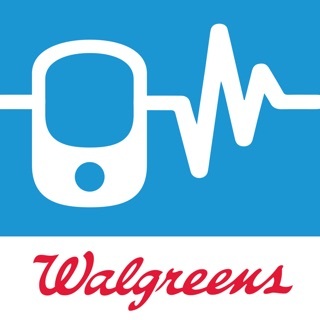 I encourage everyone that hasn’t done business with Walgreens to give them a shot. You won’t be displeased. And if you have in the past give them another shot. You will be pleasantly surprised. This means so much to us, TinaLe-Ann! Thank you for all of the kind words! I used to love this app. Since the last update I can't get into my account. I called the 800 number and was sent a link to reset the password so I did, set it to "keep me logged in" and submitted my script refills. The next day I go to the app and I'm logged out. Try to login and tells me there's a problem so I reset my password again and select "keep me logged in." I get a text saying that one of my scripts is too early so I go to the app, I'm no longer logged in and again it tells me there is a problem logging in. I have now reset it again! I sent an email asking what is going on and to fix the problem. I can't reset my password every time I need to get into my account. Come on guys-fix this! I have since had an employee at my Walgreens try to help me in August. She called the support line while I was there and they told her what I should do. Well what they told her wasn't a fix because phone doesn't have the option they told her. She called them back and they said to uninstall the app then reinstall it. Still doesn't work. They then had no idea what to do and that I would just have to keep changing my password cause they didn't know what was wrong. Can someone please help me with this!?!? My husband used to be a Walgreens store manager and even though he no longer works there we have remained loyal customers. The pharmacist knows us by name and all our meds so we would hate to have to leave because of this issue with the app.